I wanted to start this year with a fresh new kit full of bright, happy with a little sunshine and lots of goal planning and forward dreaming. I think it’s so important to have dreams. We will be talking more about this here on the blog this month. …..we are introducing for the first time our own exclusive patterned papers. 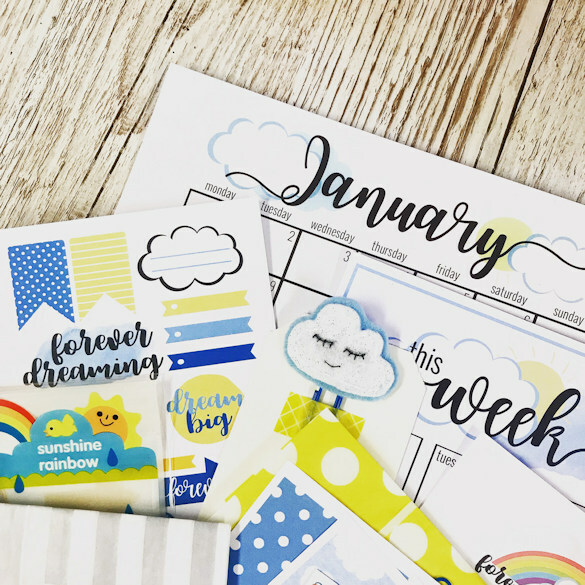 The monthly patterned papers will from now on coordinate with our exclusive printables. 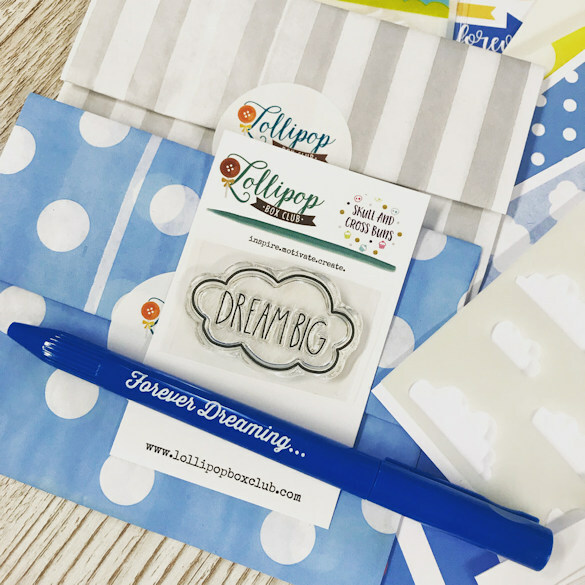 The kit will feel fully themed and coordinated and you will not be able to purchase these anywhere else, only by purchasing a kit. 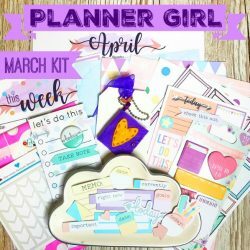 We have lots of other exclusive printables this month. 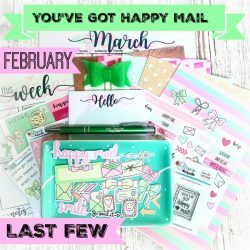 An embellishment postcard, letter paper, note paper, numerous planning sheets. 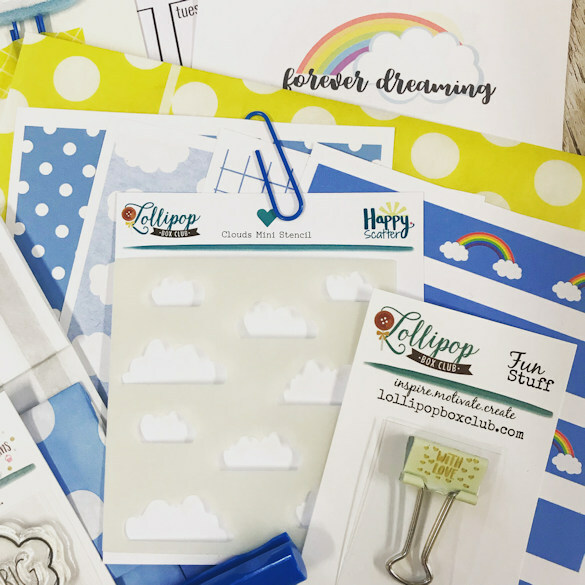 All of which can double up and be used on scrapbooking and journal pages. If you are a subscriber you can also download these for free. 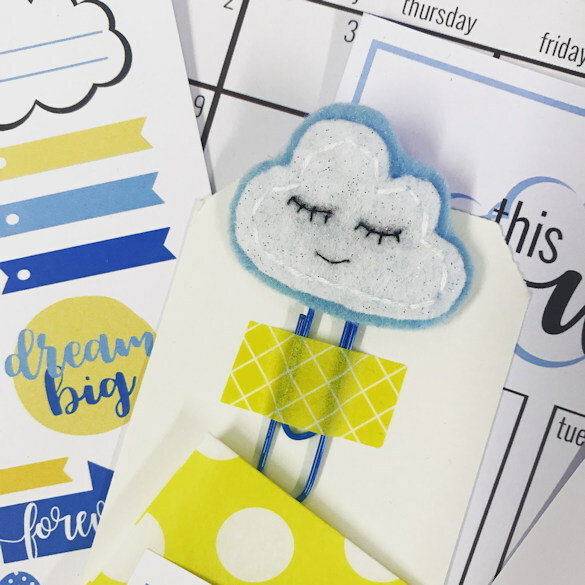 We also have an exclusive dreamy planner clip handmade just for us. 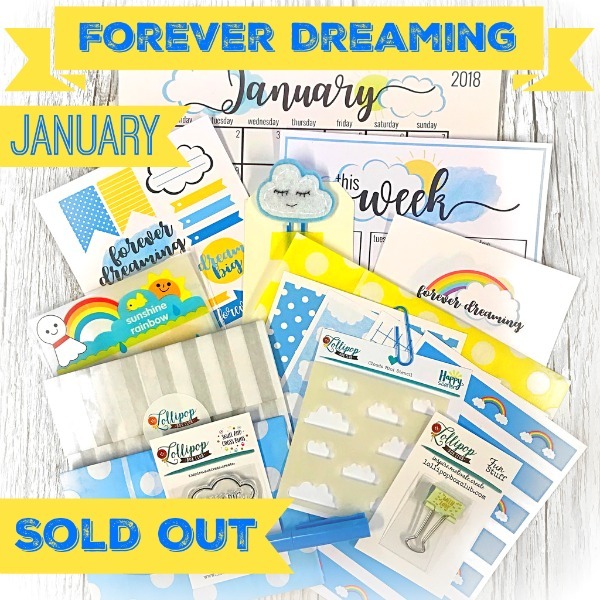 This month we have a ‘Dream Big’ stamp, a cloudy stencil and a ‘Forever Dreaming’ Pen. All are exclusive to us and this kit. We are collaborating with Daisy who many of you will know from ‘My Green Cow’. 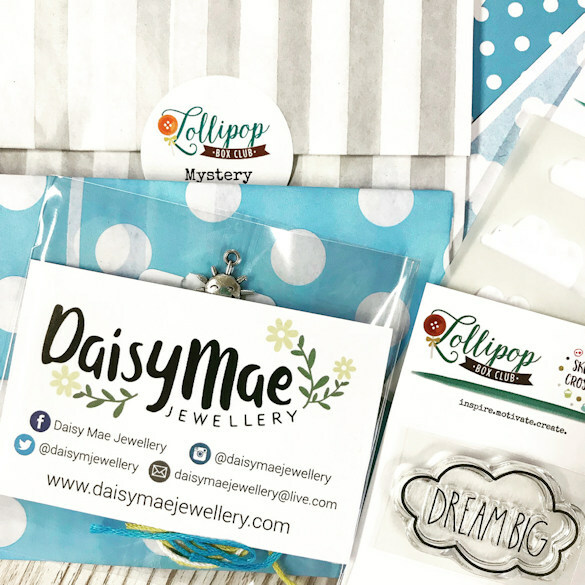 Daisy has made our DIY kits this this month. 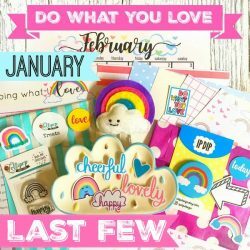 As well as all of this you will also receive coordinating exclusive stickers, embellishments, a mystery gift, a treat bag full of goodies and more surprises. I think this kit is possibly our fullest kit to date. Let’s get 2018 off to a super start!! Let’s dream together, plan together and achieve together. Our boxes are postbox friendly so they can arrive even if you aren’t in to greet your postie. 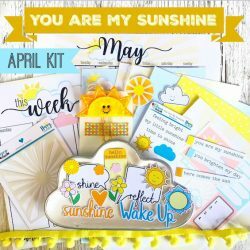 Join us here over on our private chat group to chat kits, creating, planning and this months dreamy theme.